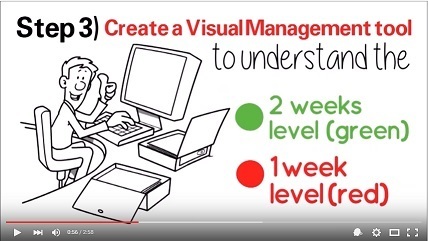 What is inventory management Video. In this video our unique method in 10 steps to obtain a consistent inventory management. 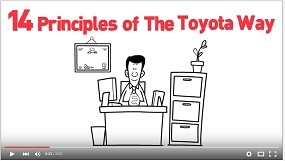 Lean Manufacturing PDF Lean Manufacturing PDF What is inventory management explained in this video. 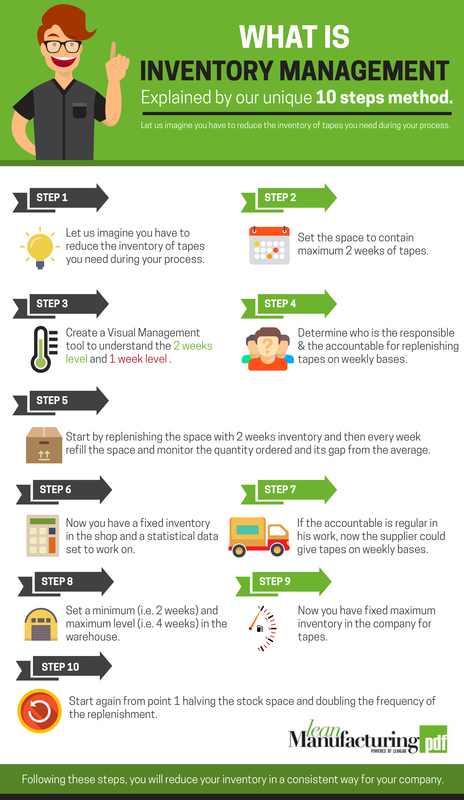 Our 10 steps method to understand what is inventory management. See now. What is inventory management explained by our unique 10 steps method. Let us imagine you have to reduce the inventory of tapes you need during your process. How many tapes (on average) you need every week? Set the space to contain maximum 2 weeks of tapes. and 1 week level (red). Determine who is the responsible and the accountable for replenish tapes on weekly bases. Start by replenish the space with 2 weeks inventory and then every week refill the space and monitor the quantity ordered and its gap from the average. Now you have a fixed inventory in the shop and a statistical data set to work on. If the accountable is regular in his work, now the supplier could give tapes on weekly bases. Set a minimum (i.e. 2 weeks) and maximum level (i.e. 4 weeks) in the warehouse. Now you have fixed maximum inventory in the company for tapes. Start again from point 1 halving the stock space and doubling the frequency of the replenishment. Following these steps you will reduce your inventory in a consistent way for your company.